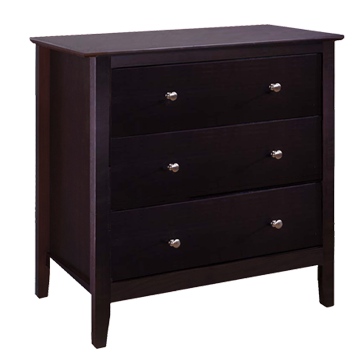 Espresso 3 Drawer Chest - ADEPTUS USA Inc. FEATURES: All solid wood. Full depth drawers. Metal drawer glides.